For Confidence, You Can Hang On To! 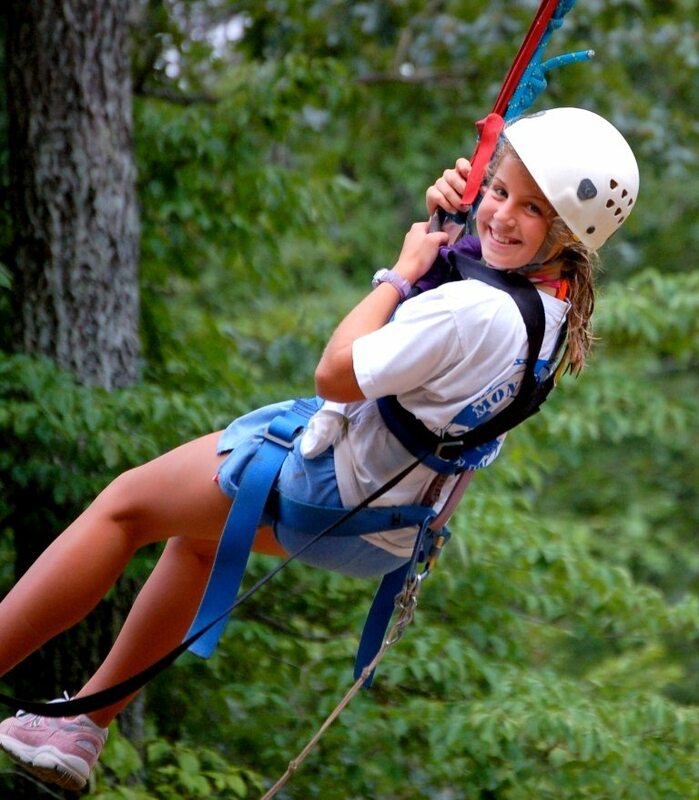 Project Adventure - You don't want to miss the excitement of our ropes course! 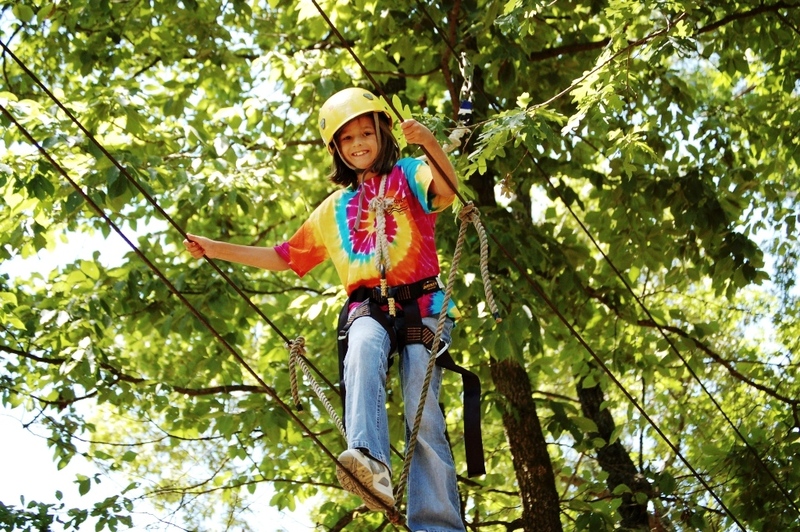 Riverview has one of the finest and largest ropes courses in this area of the country. 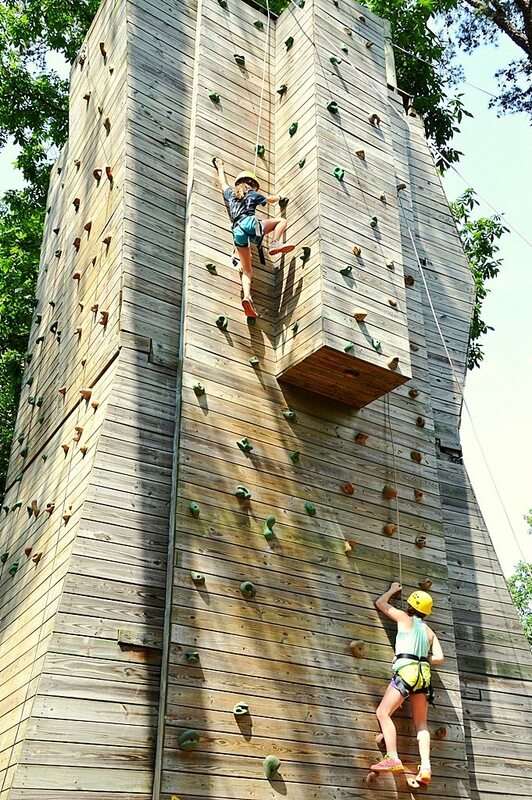 Our thoroughly trained staff will guide you through a series of exciting elements that emphasizes participation, initiative, cooperation, teamwork, and trust. You will learn the value of group support as well as develop a positive self-image. 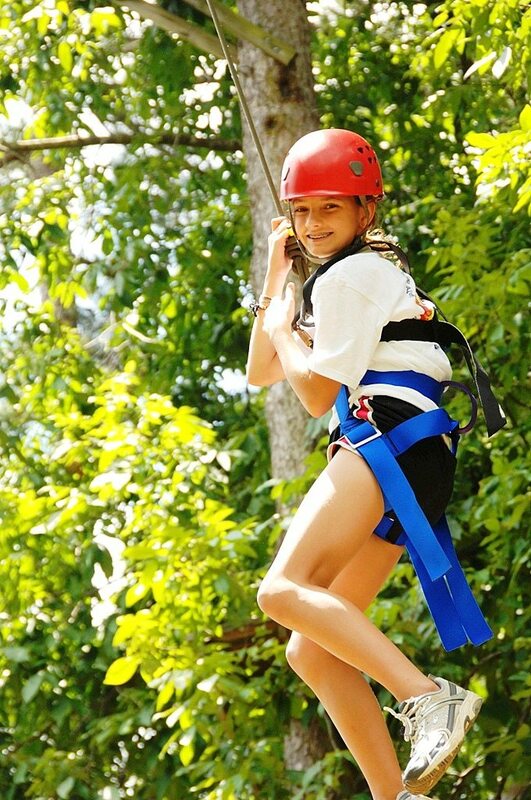 Of course you'll wear a securely attached safety harness while you're on the ropes course! Trust and Confidence is what it's all about, and you'll walk away with plenty of both! 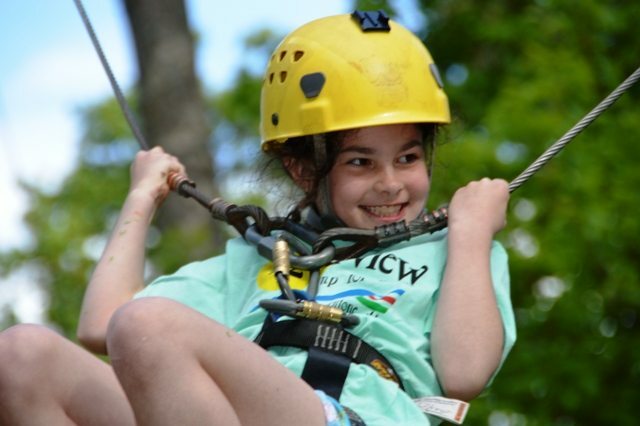 Both low ropes and high ropes for you to enjoy! "I know that even if my foot slips, I'll be just fine.... I'm harnessed, hooked up, and hanging securely on the cable above me!"